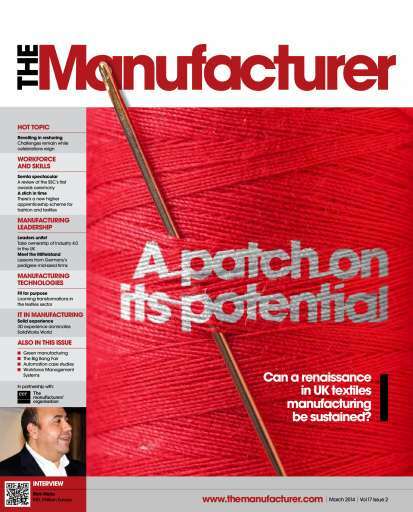 TM explores the UK’s textile manufacturing sector to see if it really is patching together the tapestry of its true potential. 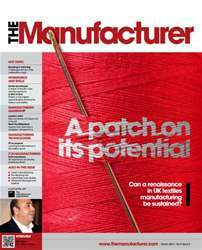 Rick Mejia, MD of Milliken Europe, talks to Jane Gray about growth opportunities and challenges for technical textiles and deciding on manufacturing as a career industry. Dr Adrian Hirst of the British Occupational Hygiene Society talks about attitudes towards managing worker health in industry. To complement this month’s textiles sector focus, TM takes a look at the newly launched Higher Apprenticeship in Fashion and Textiles framework.